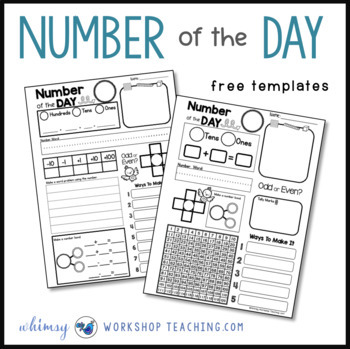 Use these blank templates as a daily math warm up with any number! There are two versions (2 levels of difficulty) to help differentiate. 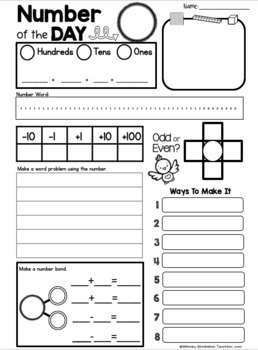 These are perfect for an independent math center (I assign higher numbers for students needing more challenge). 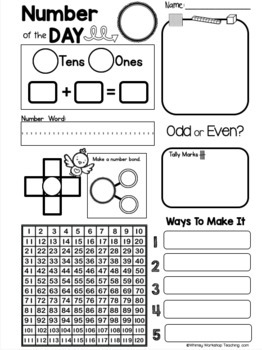 I have also used them successfully as homework practice with parents each night to practice so many math skills, or even in sub tubs! Are you looking for more math ideas? You can receive exclusive free content in my newsletters and receive an instant gift! It's a Giant Never-ending Sight Words Game Board!